When the holder of a medical patent finds herself on the patent cliff, staring into the abyss of a patentless and incomeless future, she will become very ingenious in applying for new uses, new pathways of delivery and new doses of the known substance. Painting a new layer of green over the patent that must give the impression of a new invention. It is the duty of the legislator to limit this kind of behavior if it stifles access to generic medicines. How can the interests of patent holders and patients be reconciled? In 2016, Hong Kong’s Legislative Council passed the Patent (Amendment) Bill 2015 in complete silence. In contrast, the Copyright (Amendment) Bill 2014 failed after was politicized. It was argued, although not very convincingly, that the proposed copyright amendments in regard to the fair dealing provisions would stifle freedom of expression. A fortiori, one would expect at least a little public discussion about the implications of the changes in the new Patent Ordinance. The major changes are that after the law becomes effective in 2018, the Hong Kong Patent Office (when it has acquired the capability to do a substantial examination by herself, which duty will be first outsourced to the State Intellectual Property Office) will be able to grant Original Grant Patents. It will also continue to re-register Standard Patents from the designated patent offices of the People’s Republic of China, European Patent Office and the United Kingdom. Under the Patent Ordinance 1997 only a search report was needed for the Short-Term Patent with a duration of 8 years. Under the new Patent Ordinance the registrar will be able to request a substantial examination, where a refusal will result in the revocation of the patent. Moreover, the changes in patentability standards will have profound implications on the access of affordable medicines. Alas, not much attention was given to this important public interest link in Hong Kong. Although, Hong Kong has the ambition to become a player in innovation and technology, it has not developed a successful, coherent, specific and long term strategy, from research to commercialization, in regard to pharmaceuticals, nor has it backed up such a strategy with substantial investments. Unlike Singapore, which has heavily invested in a strategy to develop biopharma, focusing on medicines against cancer, metabolic disorders, and neurological, infectious and eye diseases, for the last thirty years. The result is that Hong Kong has a cluster of great research facilities linked to universities, but lacks a significant pharmaceutical industry like Singapore. Therefore, especially in the absence of this industry, one can argue that access to affordable medicines should have priority for Hong Kong legislators. This access can be achieved by upholding the patentability standards of novelty, inventive step, enablement and industrial application. Even though Swiss-type and purpose-limited product claims are now considered to be susceptible for industrial application, they still lack novelty. Like many other jurisdictions, Hong Kong uses the validity standards for patents of novelty, inventive step, enablement and industrial application. 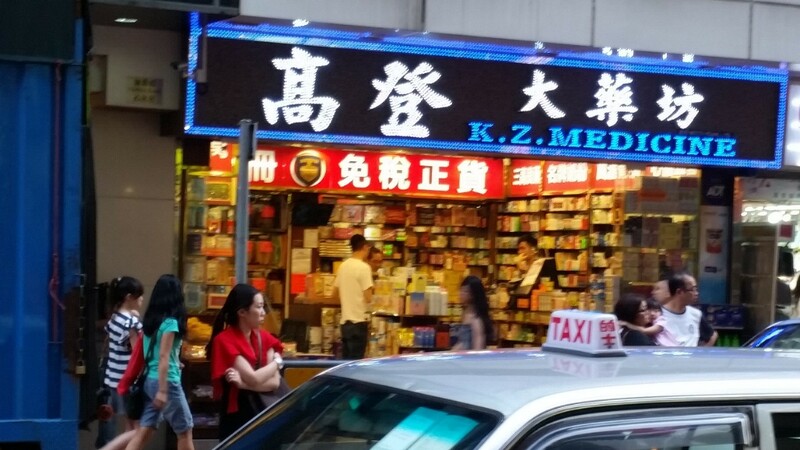 But, like many jurisdictions, exceptions are made in Hong Kong when it comes to methods of medical use, methods of delivery and patient groups claims. Section 9(B)(5) Patents (Amendment) Bill 2015 states that first and further medical use of the product/substance or composition will be regarded as new. For example, one can argue that a new use (let us say that first a medicine was used for pain relief and now it is used against blood clots) for a known substance (let us say the active ingredient is acetylsalicylic acid of the medicine name Aspirin) claim and thus does not meet the novelty requirement. One can argue that these two legal fictions enable “evergreening,” a perpetual stream of new medical use claims that seem to protect marginal improvements. This can delay the moment when a known substance is completely unpatented and can be manufactured and sold for all kinds of uses or delivered via all kinds of ways or to different patient groups by generic pharmaceutical companies. Of course, generics pharmaceutical companies can carve out patent protected labelling so that they can manufacture and sell for the uses for which the patent has expired. If one looks at dosage claims (take one pill instead of four) one finds sometimes unanticipated improvements. Patients do not have to endure four times per day chemical imbalances in their bodies. And compliance increases, which means that less people will forget to take one dose instead of four. Bad compliance of antibiotics is one of the reasons for the emergence of resistant bacteria. Therefore, a new dosage regime can have beneficial effects for individual patients and to society at large. However, one can still argue that most of the second and further medical use claims bring about minor improvements or insignificant changes. To prevent granting patents for the latter category, India has promulgated the innovative provision Section 3(d) Patents (Amendment) Act 2005, which only allows use of patents if they heighten the efficacy of the known substance. In Canada, the doctrine of promised utility was implemented as another way to put the brake on “evergreening”. Utility is normally a low bar, but the Court of Appeal in Eli Lilly Canada Inc. v Novopharm Ltd. in 2012 held that the patent for Olanzapin was invalid as the promised utility that was claimed had not been demonstrated and could not have been soundly predicted. One drawback is that to prove utility it could mean that a lot of investments will need to be made upfront. The Hong Kong government does not have an exclusive obligation towards patent holders, let alone to lower for their sake the patentability standards. They also have an obligation towards the citizens of Hong Kong. In safeguarding access to affordable medicines it should take into account innovative options to raise the patentability standards for medical use patents. Hong Kong’s Short-Term patent seems better equipped to protect these kinds of marginal and incremental improvements than the Original Grant Patent or Standard Patent. *Dr. Danny Friedmann is a researcher on intellectual property law based in Hong Kong, editorial board member of the Journal of Intellectual Property Law and Practice, a knowledge management consultant at Simone Intellectual Property Services, and a blogger at IP Dragon http://ipdragon.org. "Paint Medical Patents Green Or Improve Efficacy" by Intellectual Property Watch is licensed under a Creative Commons Attribution-NonCommercial-ShareAlike 4.0 International License. The availability of affordable drug does not only depend on patent protection expiration but, to a great extent, on effective generic-originator competition, as well as competition among generic companies. This is not the case of Hong Kong, where generic drugs are procured through the tender system – generic manufacturers do not have incentives to challenge weak patents. – shows that, surprisingly, in many cases, the generic launch in Hong Kong lags behind the US, notwithstanding the fact that in the U.S. there are additional instruments of protection of originator drugs such as 5-year patent term extension, patent linkage, pediatric extensions. The point is: it is important to distinguish between nominal and factual exclusivity. In some cases, nominal exclusivity can be longer than actual and in others – such as in HK – vice versa.